One of the unexpected and most welcome perks of writing this blog is that from time to time I’m contacted by various companies asking if I’ll review their products. I’ve been sent allsorts including groundbait, a water bottle, waterproof jacket, pole floats, a photo canvas and been asked to review several fishing apps and I’ve really enjoyed doing it. These reviews have proved to be very popular and I strive to be as honest and thorough as I can be. It’s always very exciting when an e-mail arrives in my in-box from one of these companies and the latest one was from www.kitshack.comBasically they were asking if I would feature their website on my blog as their new anglers collection would fit in with my readership, the e-mail went on to say that they would like me to review one of their Buff’s and would be happy to send me a Polar Buff which would be handy with the freezing weather we are currently experiencing. I must admit I was intrigued, I have come across Buff’s before, the legend that is Terry Eustace is a big fan and wears them in hotter climes, our paths have crossed several times at the wonderful Gillhams Resort in Thailand and he even lent me one which was brilliant at keeping the sweat out of my eyes but would one be any use on a freezing cold riverbank somewhere in deepest, darkest Somerset? Phew! and that’s just the anglers collection. 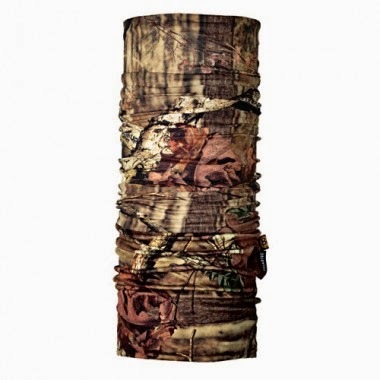 Then each type of Buff has several types of design, for example the High UV Protection Buff has 35 different designs! These include some amazing fishy patterns like Atlantic Bluefin Tuna, Barracuda, Bonefish and Dorado. You can probably tell from the names that the anglers collection is aimed primarily at the Big Game/American market although there are Carp and Northern Pike designs. A day or so later they e-mailed me again to say the Polar Buff had been dispatched and they also included a little video demo which shows you how many different ways you can wear the Buff. The clip is below and I must admit it was a revelation, with my limited knowledge of the product I had assumed it was basically a type of neck scarf that could also be worn bandana/Foreign Legion style with a flap to protect the neck from the sun. 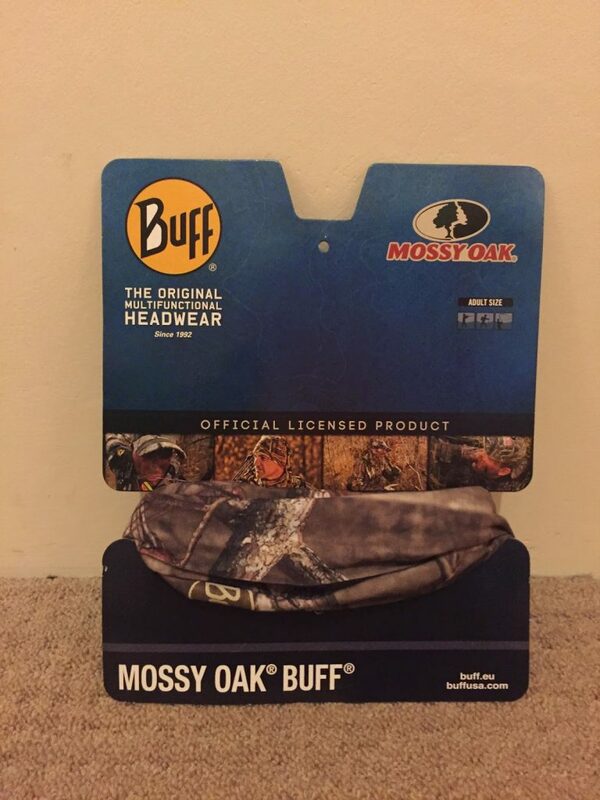 Yes the Buff can be used like this but it can do so much more, take a look at the demo and I’m sure you’ll be as impressed as I was, what an innovative product! 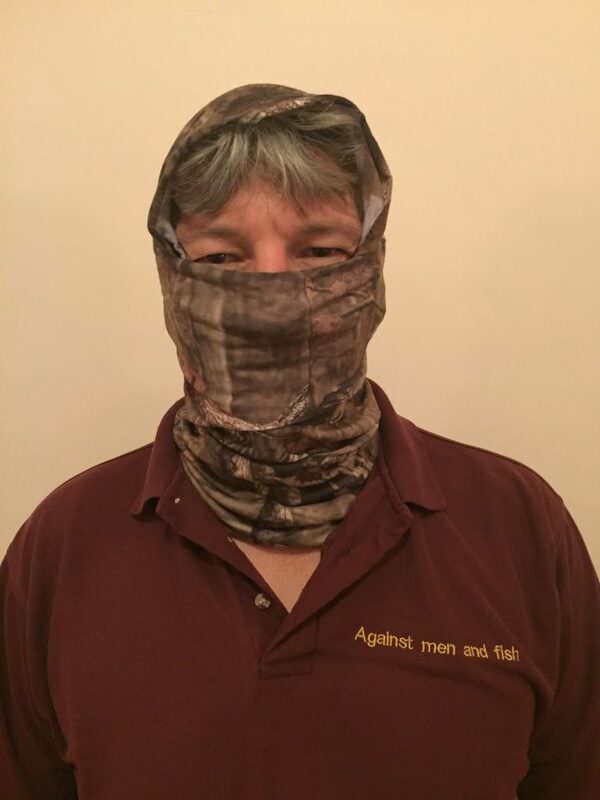 It arrived on the Saturday, just in time for me to wear fishing the following day and as it had been really cold with a frost most mornings, it should be the ideal conditions to try out the Polar Buff. I had a play around with it and I have to admit Henry (in the demo above) made it look easy, my results weren’t quite so good (see below) but nothing a bit of practice wouldn’t put right although I wouldn’t suggest walking into a bank looking like this! 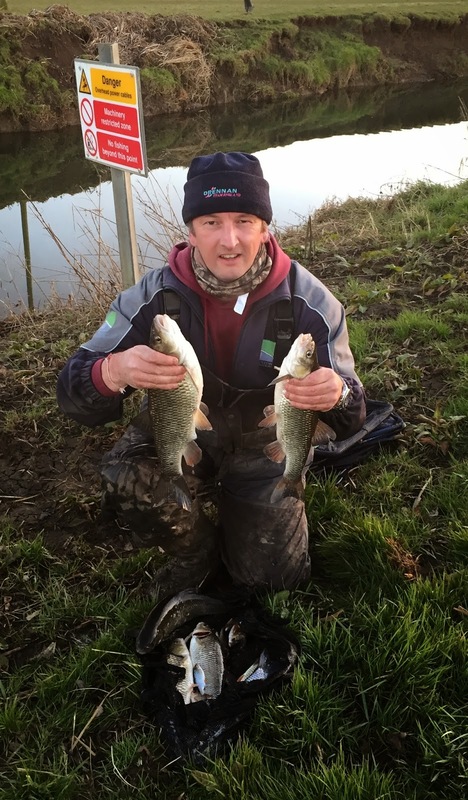 I wore it on the Sunday and actually finished fourth in the match with 13lb of chub but I’m not sure I can attribute that to the Buff! I just wore it around my neck and it did the job, keeping any chills out and I also loved the fact that when it started to get darker and all those annoying little flies and midges, that seem intent on trying to get you to swallow them, came out, you can just pull the Buff up over your mouth to counteract them. I’m just so impressed with my Buff, what a simple idea (the best ones always are), you can just stuff it in your coat pocket as it doesn’t take up much space so you’ve always got it with you. 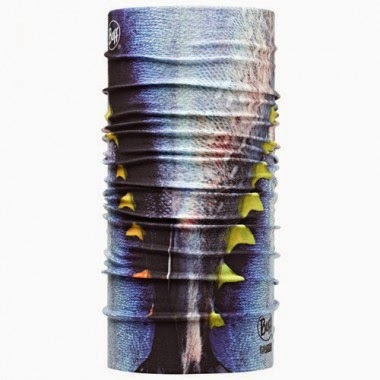 To be honest for what I’m going to use it for, the Neckwarmer Buff or Wool Buff would probably be more suited to the job but then I also really like the Polar Buff Reversible and an Original Buff will be ideal for the next time I go to Gillhams in Thailand but what design to get? (there are 211 to choose from! ), decisions, decisions, decisions. Maybe they could do a perch or tench design for the UK angling market! I do urge you to have a look at their website Kitshack, I’ve spent ages looking through some of the really cool designs, check out the Star Wars Darth Vader! Prices for the Original Buff are £15 or £16 depending on the design, the Neckwarmer Buffs are £15 or £18, the Wool Buffs are £25, Polar Buffs are £26 and the Polar Buff Reversible are £26 or £27. They also do a range of gloves, some of which might be ideal for winter fishing but I’ll have to get some and let you know. Free delivery is available for all UK orders plus the Rest of the World on orders over £25. I can’t express enough how impressed I am with the product and the company (and I’m not just saying it because they sent me a free Buff! ), they do a lot for charity and focus on supporting loads of the sports and activities through grassroots sponsorship. Have a look at their charity page. Finally I will leave you with a little factoid, Buff is derived from the word ‘bufanda’, which means ‘scarf’ in Spanish. *Kitshack sent me this product for free in exchange for an honest review. All opinions contained in this post are my own.